A group of the stable's early-running two-year-olds will make their anticipated debuts at Doomben on Saturday when they contest the first Metropolitan two-year-old races of the season. Munce Racing has three juveniles lining up, with THE CARPENTER contesting the Colts and Geldings race and BUCKETS OF PRIDE and CENTREFIRE contesting the Fillies event. THE CARPENTER impressed trainer Chris Munce in a barrier trial at Doomben a fortnight ago and has drawn ideally in barrier 1, with Mark Du Plessis to ride. BUCKETS OF PRIDE was also a trial winner in the lead-up to Saturday's first-up assignment while CENTREFIRE had excuses in finishing fifth in her trial after missing the start. 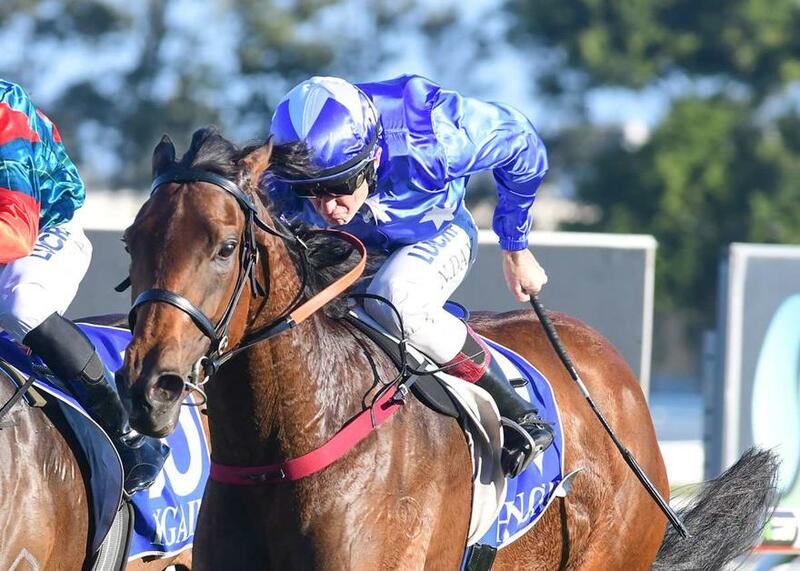 The stable also has last-start winner SKY LAKE entered for the Class 3 Plate (1350m) at Doomben on Saturday as she looks to keep her unbeaten record in Queensland in-tact since arriving with the Munce stable. Meanwhile, former Kelso Wood galloper NIKITAS makes his debut for the stable at the Gold Coast meeting, where MARTINELLI also lines up for his third-up assignment. TRAINER COMMENTS: "I'm really pleased with him going into this race. He's trialled up nicely and is a real little professional that does everything right. The 1000m may be a bit short of his best, but the fact that he's drawn well, it's a good lead and I expect him to race very well. Whether he's got the sharpness and speed to win, I'm not sure but he'll do everything right and he'll certainly be figuring in the finish, that's for sure." TRAINER COMMENT: "I'm really pleased with her going into this race, she's had a nice trial, had a nice gallop here on Tuesday morning and she's doing everything very professionally. She's drawn well, with Ryan Wiggins to continue to take the reins on her and if she's there on the corner, I'm sure she'll be hitting the line strongly." TRAINER COMMENT: "I'm very happy with her going into this. She's drawn nicely with Mark Du Plessis to ride. Since her trial she had a jump out and she went very well and won easily. From a good draw tomorrow, I'm hopeful she'll be able to lead or at least be on the speed somewhere and we know there's a lot of improvement left in her and I expect to see that tomorrow at Doomben." TRAINER COMMENTS: "She's got a good draw and has come on nicely since her very good first-up win at the Gold Coast. It's a race that's certainly well within her reach and she has improved. I expect her to be able to hold a spot in the first four or five and if she can replicate her run at the Gold Coast, she'll certainly be hitting the line strongly." TRAINER COMMENTS: "I've decided to send him to the Gold Coast on Saturday. We know he likes the track and I think the 1400m there is right up his alley. I thought we'll try and get a win out of him while he's going well. I'd expect him to lead and control the race and he'll be a lot fitter so I'd expect him to be hard to beat in a race like this." TRAINER COMMENTS: "He's got a fair bit of weight to lump with 63.5kg but over the 900m I'm not concerned about the weight. The distance is a little short of his best obviously but he needs a race like this just to keep him up to the mark and to get a bit of race fitness into his legs. Hopefully if he can win a couple of races like this, it'll help get his rating up which will ensure he'll get a run in some of the better races over the Summer leading into Magic Millions. I'm very happy with him since he's arrived at the stable and he's had a couple of nice trials to top him off for this race."